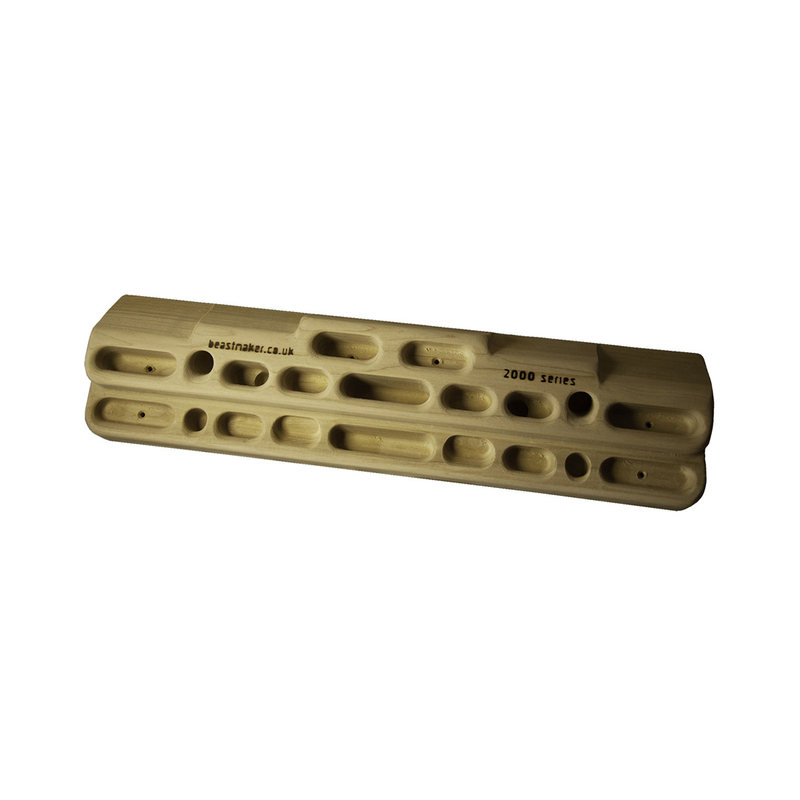 The Beastmaker 2000 is a fingerboard for experienced climbers who are looking to push the limits of their strength. With design input from top UK climbers, every hold is designed to target your weak spots and build your strength. Varying pocket depths and angled slopers will really put your fingers to work, while the texture of the sustainably sourced wood is grippy, but not too hard on your skin. The Beastmaker 2000 was hand-built in the UK using North American tulipwood and comes with screws for mounting. North American tulipwood is a very common, fast growing type of wood grows in the eastern United States. Beastmaker only use FSC certified tulipwood, meaning it's been responsibly and sustainably sourced. Beastmaker's factory also runs entirely on renewable energy and all their products are packaged with recycled cardboard, so you can feel really about buying from them! Ultimate equipment for training finger strength. No more excuses for being weak.